How do you use your BlackBerry: Do you use the LED for notifications on your device? I know this one sounds like a bit of a "duh" question, but I know there are actually users who don't use the LED indicator for notifications. I've been through phases where I just got plain tired of seeing the LED flash, and since I checked my device so often anyway, figured I didn't need to have it on. 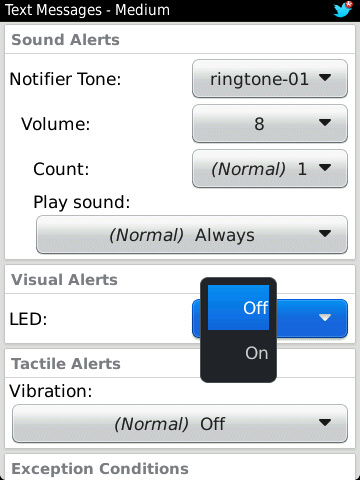 Now I actually use BerryBuzz for BBM, SMS and a few other apps but still don't have an LED set for emails. Weird huh? So do you use the LED? Do you hate it? Do you use a 3rd party app (like BerryBuzz) I'm curious to know if I'm alone in my protest of the LED, so cast your vote in the poll above then leave a comment letting us know what works for you.